There is no one who hasn’t wished their earphones could be louder. We’ve all dismissed warnings about turning up the volume too high that routinely pop-up of our devices, in the paper and on our social media feeds, shared by paranoid aunts. But it’s only because there’s so much stray noise all around us; sometimes it’s really difficult to concentrate on the music or relax with some beats playing because someone’s kid is shrieking, or someone’s being too loud on the phone, or their dog is livid at its imaginary friend. There’s just no peace around us. If you’re like me and derive mental peace when the sounds and sights of the world cannot influence you, you need ways to boost your earbuds’ sound just as much as I do. I’d love to hear some ways you know. Don’t hesitate to drop me a line in the comments below. There are far too many noisy kids in the train for my taste anyway. I used to just pick up a pair of earphones from a hawker or a music shop. It took me shamefully long to understand why some earphones performed better than others. Earphones come in different sizes too, you know. Well, to be exact, it is the earbuds that change size, and rarely the circuitry. The effect of a differently sized earphone is pretty startling too. It can change the efficiency of the earphones. With a more snug fitting earphone set, your music is clearly audible in the proper decibel limit, no matter what the world around you is up to. How will you find out if the earbud fits? Many people describe not being able to hear what someone is speaking to them with the earphones plugged in as the true criteria of properly sized earphones. But no two ears are alike, so it might not be something everyone experiences. A better criteria is to look for which earphone fits most snugly. A good earphone is not hard to yank out, but also should deliver some resistance and not fall out with a mere shake of the head. If you have the proper size, you might hear all your music crisp and clear without needing to jack up the volume or try any other tricks we’ve mentioned below. But if you cannot manage to buy new earphones right away, you needn’t stay away from amazing music quality. The earbuds that come packed with earphones are nice and everything, but a lot of them (especially the ones which have a more smooth and rubbery finish) just don’t fit snug and happy in everyone’s ear canals. It can be hard to make an earphone stay in the ear. 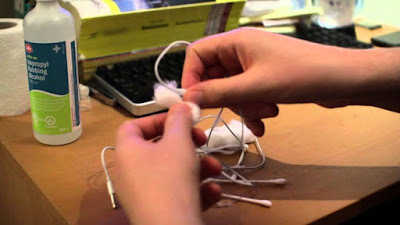 Lifehacker posted a hack where they used twist ties to make a holder for earphone to keep them in the ear. I tried it, and it didn’t work, to say the least. Not only did it not work and my earphones kept dislodging while running (contrary to what they said), the twist ties made the back of my ear sore with the constant pricking. Wearing a pair of glasses isn’t very comfortable with this arrangement either. There’s a different earbud arrangement I found on the internet that I found to be much better. You get foam earplugs from a hardware shop (they’re used to protect the ears when operating noisy machinery like chainsaws). You get your earphones and remove the plastic earbuds that came with it. You trim your foam earplugs to the size you want (keep it a little longer than the length of the shaft that bears the actual speaker apparatus). Then, you flatten it into a circle shape (squish the dome to the base). Next, you need something round, narrow and sharp, like the end of a mechanical pencil, or (if you can manage it) a punch machine. Make sure it is sharp because you want to make it precise. Dig through the centre to make a round cavity, and let the foam earplug expand back into shape. You will get a cylindrical cavity. Just put this around your earphones’ speaker shafts and you’re done! These earplugs can fit into anyone’s ear canals, and with some time, they acquire the shape of the ear canal as they expand. Instant noise cancellation without spending crazy sums of money! Sometimes, it isn’t the earphones’ fault. A music file might be poorly recorded or rendered or downloaded, and that can make it sound like a pip in the corner. Or maybe you’re not in the mood to make your own earbuds. Whatever be the case, this DIY trick is actually pretty versatile. Ideally you should already have an app like this, but in case you don’t, download a music app that has an equalizer feature. They’re easy to increase bass and treble and other such characteristics of music on your phone or PC. What you’re looking for is boosting the bass specifically, especially if you want to experience the beats better. Warning, though… raise the bass too much and you might face ear trouble in the long run. Alternatively, if you have an Android or iOS phone, you can download MX Player app from the application store of your devices. The app allows you to access music along with video files as well (Go to the top right menu > Settings> Audio and then check Audio Player). You can then use a better decoder right from the screen and have the music play at double the volume it might be playing at on the usual music players. Want a quick boost of volume? This works better if you’re trying to use your phone as a loudspeaker or a quick deck. Take 2 paper cups and cut a hole in the base. Put your earphones into the cup so they become your earphones’ loudspeakers in a manner of appearance. Seal them up well with some tape so they don’t fall out or flop around. And that’s it! Plug in your earphones to your smartphone and play some music. It should be loud and crisp. You can also make stands for each cup using more paper cups, attaching them together with some sticky tape. This also makes things easier when you want the music to be more directed towards you. 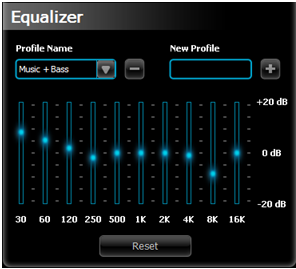 Also, try experimenting by removing the earbuds, changing the pitch with an equalizer app etc. I found paper cups to work best. In a rush? Plop your phone directly into a paper cup! 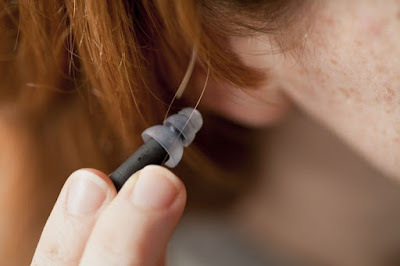 Wax, dirt and grime can often collect around and inside the earplugs you use. 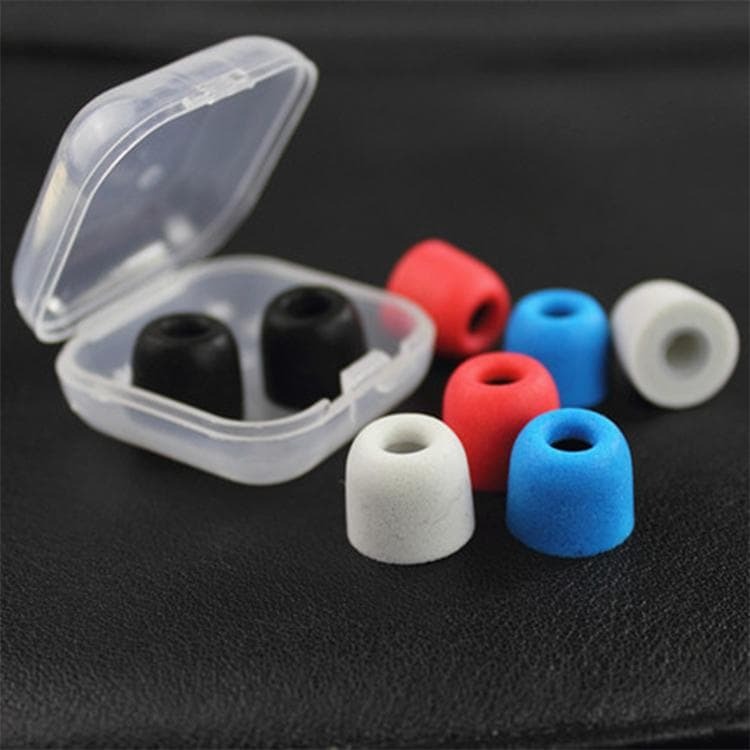 This might not be a lot of sound lost, but they can prevent your earphones from fitting snug in your ears, and even go to the horrible extreme of causing an ear infection. Not something enjoyable, no? Well, it hardly takes any effort to clean them, so there’s no reason not to do it once a few months. Just scrub them lightly with some hand sanitizer or some rubbing alcohol (be careful around the circuitry) on a cloth, and dust the dry portions. I also dip the cloth in some more rubbing alcohol and clean the cord that I tend to get pretty dirty over the course of use. It’s really simple to amplify your earbuds’ sound to get a nice and comfortable sound boost. However, do watch out for excesses. Listening to music that’s too loud for too long can damage your ear and cause a ringing sound that’s hard to get rid of even over a long time. Have any other trick you can share with me? Drop me a line in the comment section.